The wake of Rolando Campo and Sherwin Bitas was held only a few paces from where police shot them, in this photo that accompanied the Reuters story that Dela Rosa took issue with. MANILA – The National Union of Journalists of the Philippines (NUJP) on Wednesday demanded Philippine National Police (PNP) chief Ronald “Bato” Dela Rosa to retract his statement suggesting that drug syndicates conspired with international news agency Reuters in coming up with a report involving Manila police officers who allegedly killed three men in Tondo, Manila. In a statement issued Wednesday, the media organization also asked Dela Rosa to issue an apology to the Reuters team, especially the writers of the special report, Clare Baldwin and Andrew R.C. Marshall. The PNP chief on Tuesday raised his suspicion on the timing of the release of the Reuters report on a Manila police anti-drug operation which presented a CCTV footage of cops who appeared to be deliberately killing drug suspects, then taking 25 minutes to bring them to hospital, but claiming they “rushed” them. “Tina-timing, saka ilalabas ‘yong mga ganong damaging reports about PNP kung kelan tayo ibabalik. Ibig sabihin yung mga kalaban natin, ayaw talaga pabalikin sa war on drugs. Ano ang kinakatakutan nila? Hindi naman sila addict siguro,” Dela Rosa told reporters on the sidelines during the Supreme Court oral arguments on PNP’s Oplan Tokhang. Dela Rosa also said he has yet to read Reuters’ news report. NUJP slammed Dela Rosa’s tendency to speculate or “shoot from the lip” on issues regarding illegal drugs, pointing out that the PNP chief came from an institution governed by strict rules of evidence. The group also urged Dela Rosa to respect the independence of the media and to read news reports before reacting to them. The National Union of Journalists of the Philippines demands that PNP chief Ronald dela Rosa take back his utterly asinine – and potentially dangerous – insinuation that respected news agency Reuters may be in cahoot with drug syndicates in the release this week of a special report on the suspicious police killing of three men in Tondo, Manila in October. At the very least, he owes the men and women of Reuters, particularly writers Clare Baldwin and Andrew R.C. Marshall, an apology and a pledge to ensure their safety from the possible consequences of his irrational and irresponsible utterances. 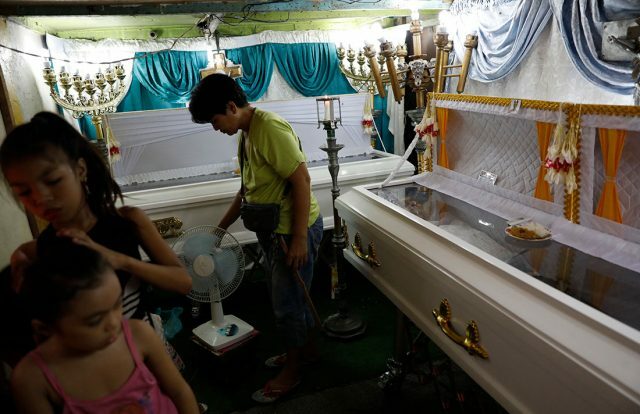 For a man at the helm of an organization that has acknowledged killing thousands of suspected drug pushers and addicts in the course of President Rodrigo Duterte’s war against drugs, Dela Rosa, of all people, should know that even speculating out loud about people’s possible addiction to narcotics may have fatal consequences, as the corpses with placards proclaiming the “sins” for which they were punished without due process amply illustrate. What is even more appalling is deigning to tell media – in this case, Reuters – how they should report the news. All this, as news reports noted, while admitting he had yet to see the Reuters report. It is truly alarming that a man whose job is supposed to be governed by strict rules of evidence has many times shown a propensity for shooting from the lip, this time pillorying a news organization for a report he has not even read yet while glossing over the reason for the report – the existence of possible murderers and sundry lawbreakers – within the service he leads. Alas for you, Mr. Dela Rosa, the media have faced worse dangers than loose-lipped cops who choose to blame their shortcomings on others. So if it is your intention to intimidate Reuters and other independent journalists into going soft on their reportage for fear of being tarred and feathered by your baseless accusations, you should know you will fail. Really, Sir, the only honorable way out for you is to apologize to Reuters and promise to ensure their safety. Oh, yes, and pledge to respect the independence of the media and, please, oh please, do read reports before reacting to them.